When a country music superstar and his band find themselves with a broken-down tour bus in Sinful, Louisiana, the entire town turns out to make their stay as comfortable as possible. 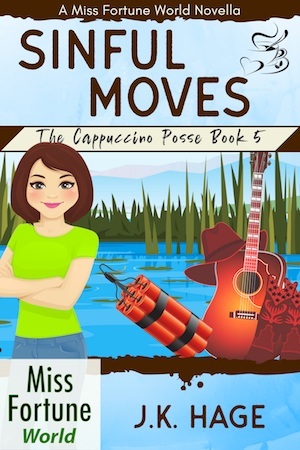 But when the tour bus explodes and one of the group members is missing, people start pointing fingers and Sinful’s gossip mill goes into overdrive. With everyone keeping secrets and danger too close for comfort, Pepper and the Posse pull out all the stops to discover the truth before further disaster strikes.